CAFOD - The Baptism of the Lord (Year B) - A children's liturgy resource for 11 January 2015. Download the accompanying optional illustration too . 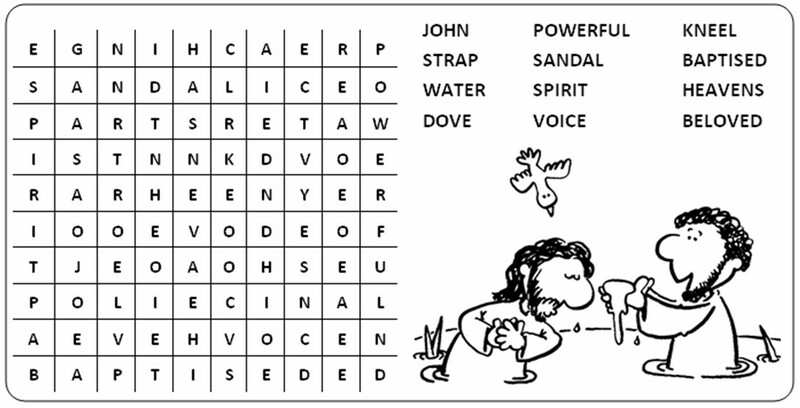 Make Your Father Proud - Children's Sermons from Sermons4kids.com with a link to a coloring page . Catena Aurea, St Thomas Aquinas. Fr. Paul's Homilies - St. Margaret Mary Parish, Naperville IL - 2012-01-09 - The Baptism of the Lord - "Renew, Refresh, Invigorate"